In these comments, Free Press and others provide further evidence of how this decision would harm communities nationwide. Free Press and Free Press Action Fund filed a letter with the FCC general counsel regarding recent agency violations of First Amendment rights. Free Press and others assert that reinstating the UHF discount would usher in a new wave of media consolidation. Investment has soared since the FCC adopted the Title II-based Net Neutrality rules. Free Press and other groups are seeking review of the FCC's UHF discount-reconsideration order before the U.S. Court of Appeals for the D.C. Circuit. This filing highlights key points about the need for affordable and accessible communications services. Free Press and others petitioned the FCC to place a hold on its plan to reinstate a UHF discount that would pave the way for runaway media consolidation. AT&T CEO Randall Stephenson admits that the Title II Net Neutrality rules haven't harmed investment. 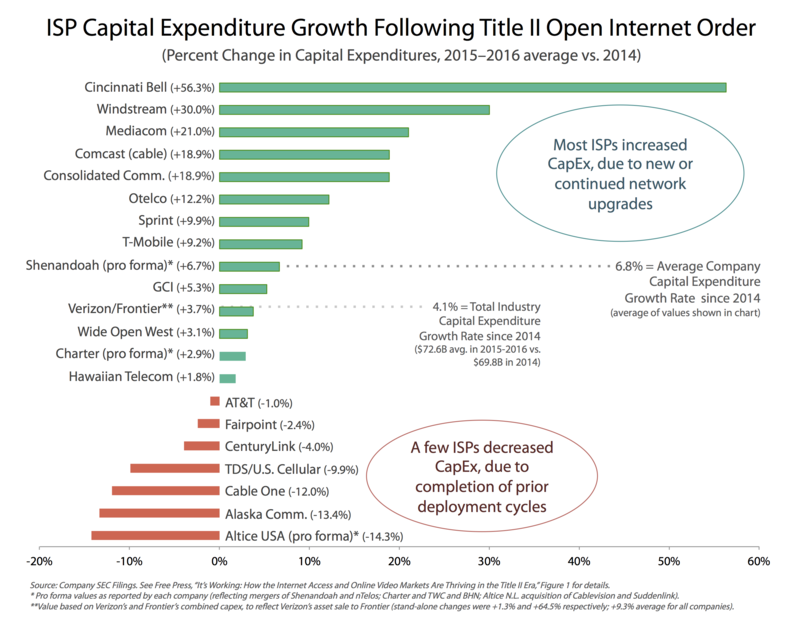 Capital investment by publicly traded broadband providers has soared in the two years since the FCC's Title II Net Neutrality rules were adopted.